Speaker of the House Ryan Smith addresses fellow state officials. COLUMBUS — Speaker of the Ohio House Ryan Smith (R-Bidwell) Wednesday held a press conference with the chairs of both the House and Senate Agriculture Committees to call on Governor John Kasich to rescind his executive order on agricultural regulations and delay the action of the Ohio Soil and Water Conservation Commission. Officials calling for the executive order to be rescinded believe it seeks to establish numerous policy changes through rule-making rather than the legislative process. As some of Ohio’s greatest natural resources, the health of Lake Erie and the state’s hundreds of river miles are of top importance, a statement from the Ohio House of Representatives Majority Communications Department says. Leaders in the House and Senate came together with interested parties in the agricultural community to commend successes in the legislature over the past several years to address agricultural runoff issues and the impact on clean and healthy waterways. Most recently, the legislature approved Senate Bill 299, which establishes the Clean Lake 2020 Plan. More than $36 million in funding will go toward a variety of programs aimed at supporting Lake Erie and reducing toxic algae. The bill follows previous efforts to prevent nutrient runoff and establish a process for the disposal of dredge material to improve water quality. 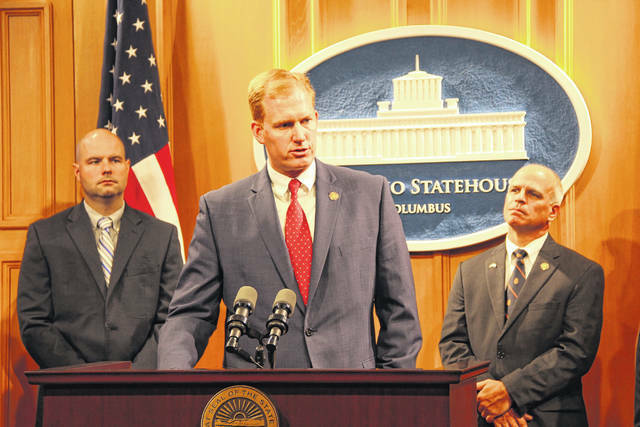 Members of Ohio’s agricultural community joined legislators to support legislative initiatives and come forward to collaborate in an effort to harmonize the agriculture industry with clean water priorities. The press conference comes after an executive order was signed to enforce what the Ohio House Majority Communications Department has called expansive policy reforms that would further regulate the agricultural industry in order to reduce nutrient runoff that affects water quality in Lake Erie. It can be viewed at http://www.ohiochannel.org/video/press-conference-discussing-lake-erie-and-ohio-agriculture.